The character on the right returns in Age of Bronze #34. Age of Bronze issue #34 will feature the reappearance of a character long unseen in the story. Unseen, in fact, since issue #3. Recently while doing some research for a completely different project, I serendipitously came across a poem printed in the May 29, 1904, issue of The Chicago Tribune. 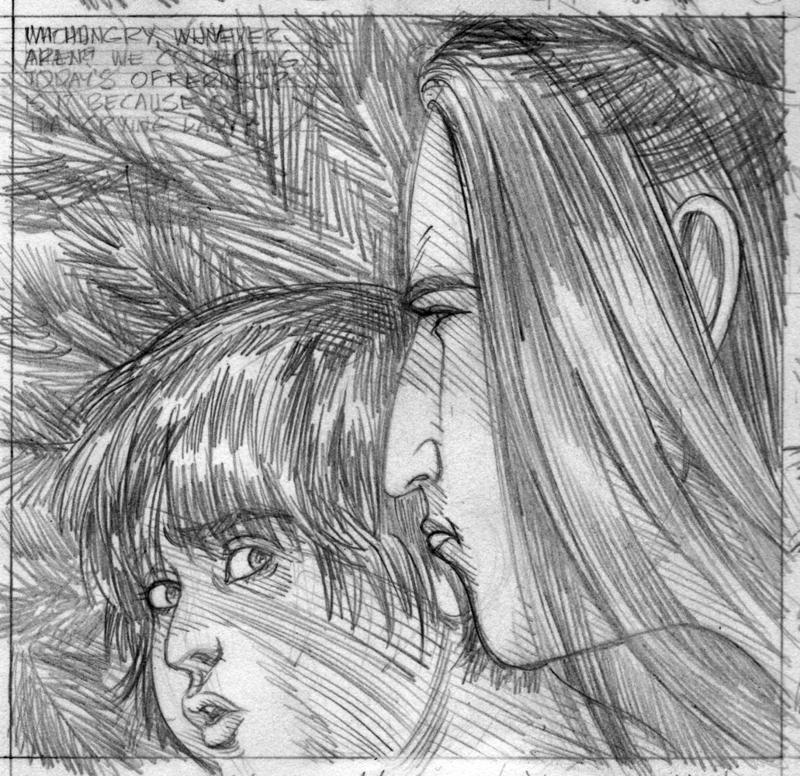 The poem's viewpoint character is the one returning in the next issue of Age of Bronze. So I thought I'd offer that poem here, along with a penciled panel featuring the character. The Chicago Tribune failed to credit the author of this poem. But a little research showed that it was written by Ethel Clifford. And knew again the days before you came. With which the days end and the days begin. The birds are flown that sang within my heart. You entered in and laid my kingdom waste. Copyright © 2016 Eric Shanower. All rights reserved. Chris Gavaler's recent book On the Origin of Superheroes delves into centuries of western civilization and American pop culture to bring to light the concepts, questions, and coincidences that gave rise to the comic book superhero as we've known it since Superman's first appearance in 1938. Gavaler's references range far and wide. As proof of the immense net he casts, he includes early in the book a short discussion of Age of Bronze, focused to some extent on my version of Herakles. I'm happy to be included in this dense-yet-reader-friendly book. I met Gavaler several years ago when I spoke to the Classics Department at Washington and Lee University. He's a professor there and teaches a popular course on Superheroes. If his book is anything like his class, I envy his students. Imagine a university course where you're required to discuss Nathaniel Hawthorne, Tarzan, Clarence Darrow, Neal Adams, and how they might all converge. Gaveler includes some info that I must have mentioned directly to him--about my experience inking Curt Swan's pencil art in the 1980s. It was actually an Aquaman comic, not a Superman comic as Gavaler writes. But the part about me correcting Swan's perspective is accurate. 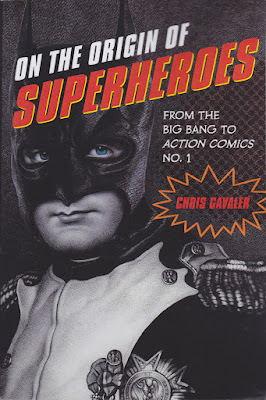 On the Origin of Superheroes is published by the University of Iowa Press and is available here.